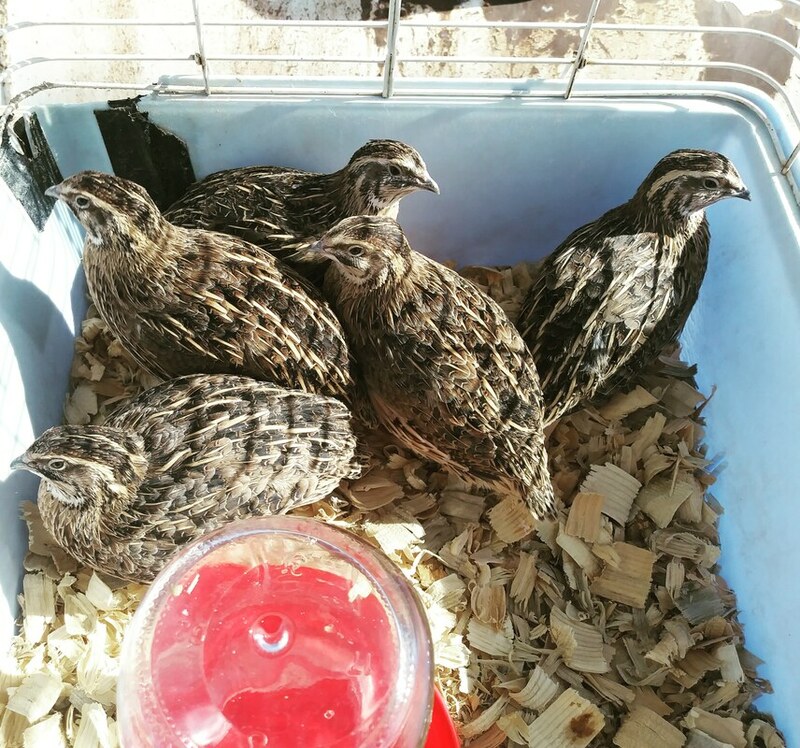 Coturnix quail are excellent birds for small spaces. They grow quickly from hatch to egg laying status and make wonderful pets or table product. 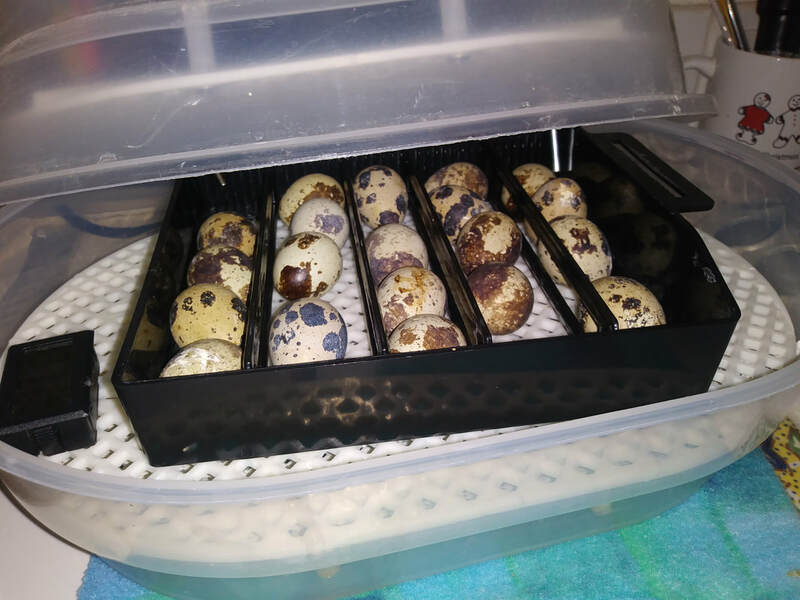 Incubation time is 18 days from set to hatch. 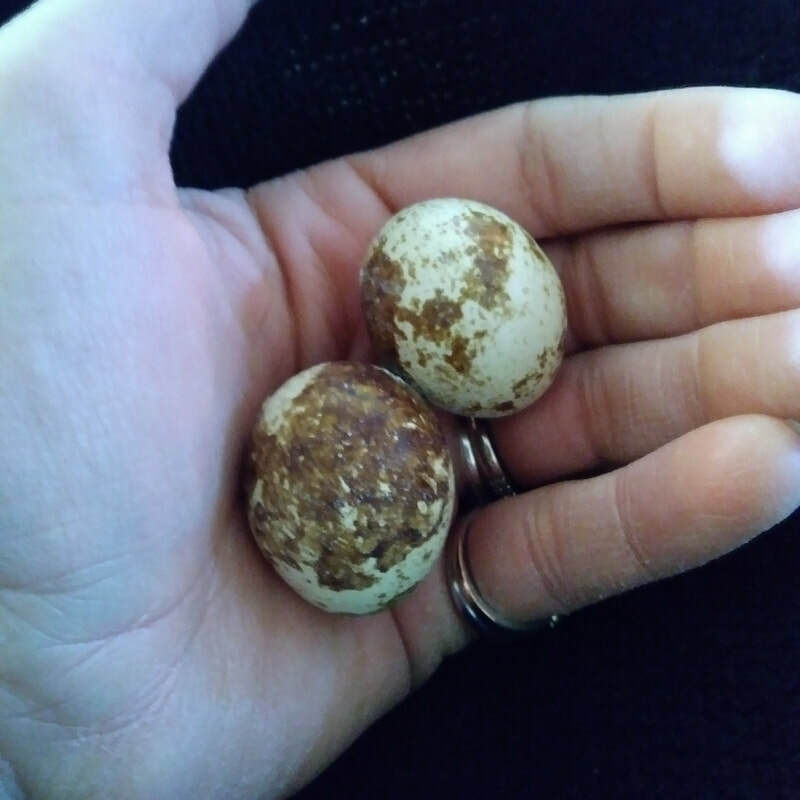 They hatch quickly, once one of the chicks is free of its shell. Eggs are sold in 16 count sets. 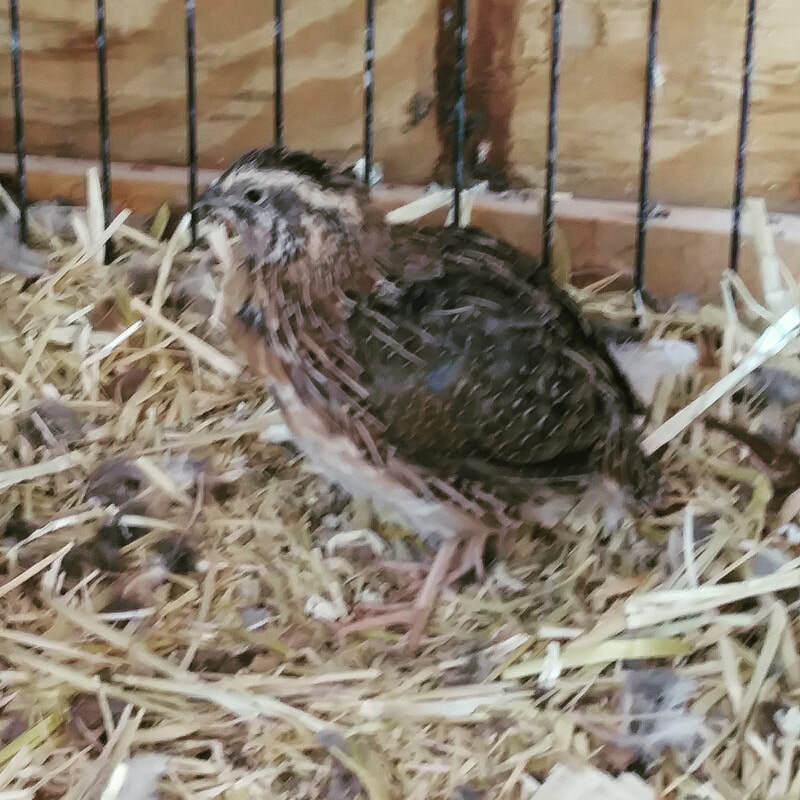 Young Coturnix quail in holding cage. Once the birds are fully feathered they may be taken to an outdoor cage. Generally, this is around three weeks of age.